It’s March, the time of year when everything is green (except the mountains of snow still covering everything)…including that famous fast food minty shake. I’ve honestly never actually had one, mostly because I never eat fast food, but also because I have a feeling that if I did have one, I would be addicted. 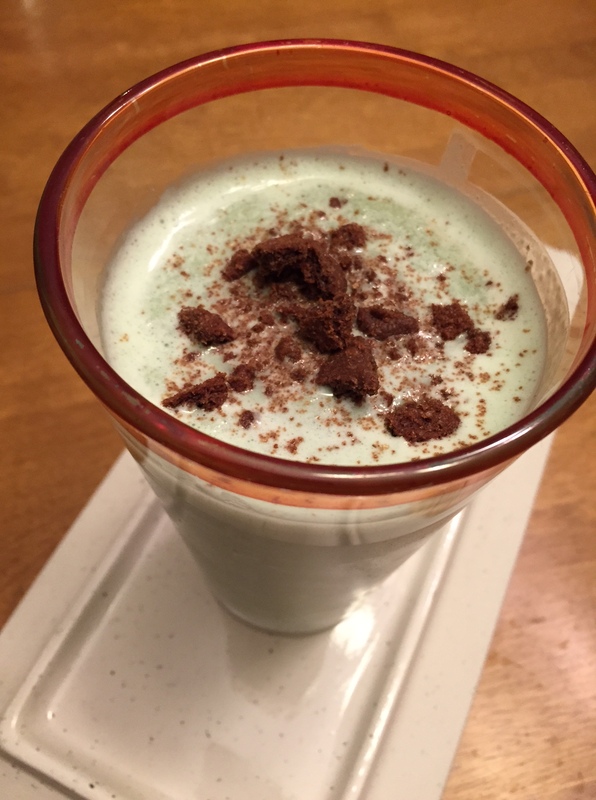 I love mint and milk shakes and ice cream and sugar…all of that rolled into a green, St. Patrick’s-themed shake? I would become Irish for that! However, in an attempt to be somewhat healthy like I tend to do, I made my own version at home. Naturally, I added chocolate cookies, because that cookies ‘n cream taste anything makes it better (in my opinion). 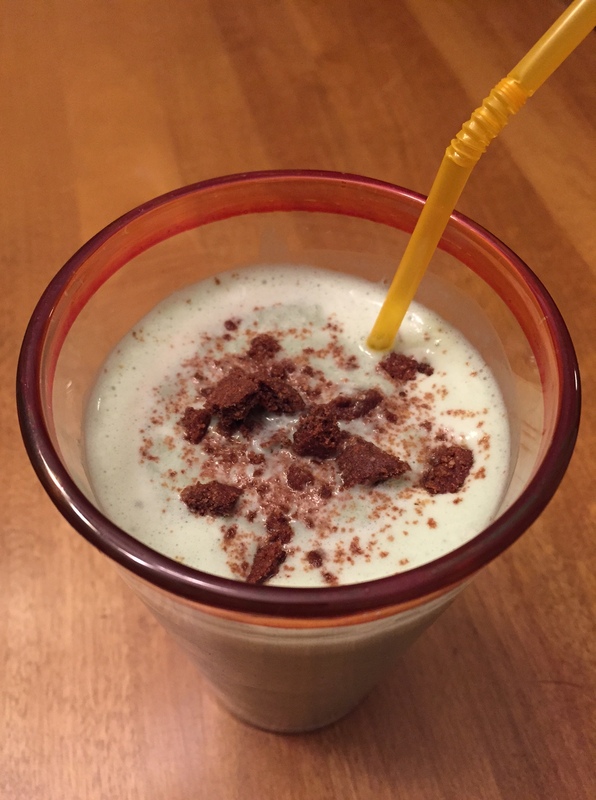 After a little trial and error I came up with this delicious, high-protein version that tastes like a guilty treat – but isn’t! Cottage cheese is the key to making it milkshake consistency – trust me on this, you can’t taste it AT ALL. It just makes it all yummy and frothy. 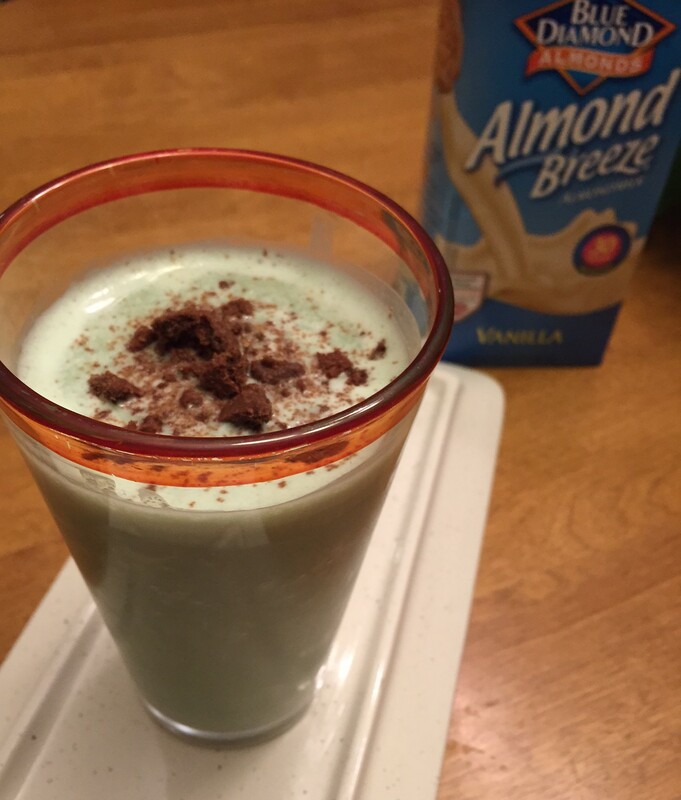 I also used Blue Diamond Vanilla Almond Milk to give it some more creamy flavor and texture, without the guilt. It’s only 30 calories per cup and has no added sugar, yet still tastes like rich vanilla…I don’t know how they do it. 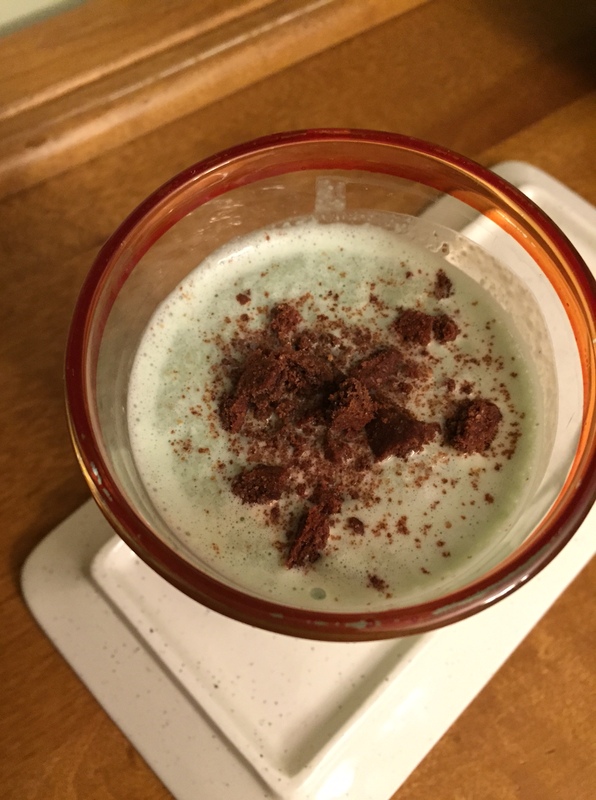 Combined with the mint and cookie flavors, I sipped this shake down in the time it took me to type the first few sentences (oops). Definitely will be making more of these, especially this month…enjoy! This post is sponsored by Almond Breeze Almond Milk. Oh I will try this today while eating lunch alone. Thanks for healthy tip.